With an official grand opening slated for tomorrow, Corner Court is back in business today, training staff on the dining site’s new options for grab-and-go food. 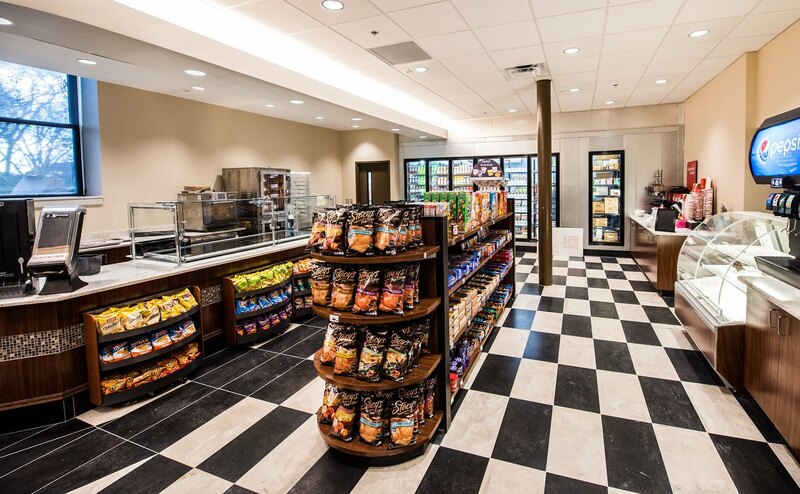 Returning items to the popular eatery, which has been closed since May for the makeover, are the popular Boar’s Head deli bar, soups, convenience store items and freshly baked pastries and muffins. New additions include a salad toss concept, local ice cream and Seattle’s Best coffee, along with just bigger selections all around. Situated near the massive renovation of the Massey Business Center, Corner Court will retain the same entrance/exit from before but nearly everything else inside has been energized with a new look and feel to complement the updates to the MBC lobby as well as the Neely/Black & White dining room areas.